Modern lives center around cell phones, so it only makes sense that our financial lives should as well. But how can you decide which financial apps are best for you? Here is a list of the ten best personal finance apps available. Stash offers a simplified approach to investing. You can start with an investment as low as $5, as well as receive personalized guidance for your investments. Stash also offers financial and investment education for users looking to learn more about investing. Stash is free on both iTunes and Google Play. Mint offers a one-stop-shop for all your personal finance needs. It helps you track and pay bills, budget, track investments, and even check your credit score. Mint is free on both iTunes and Google Play. Robinhood’s platform offers free stock trading for users. Their fast execution and real-time market data allows users to keep track of stocks and trade at opportune moments. Robinhood is free on both iTunes and Google Play. Paribus is a finance app that helps you “find” money. Essentially Paribus scans your inbox that you use for online shopping. Once the service has scanned all your receipts it checks price match guarantees, other deals and even if the item went on sale shortly after. Then Paribus contacts the company about you getting your money back. You don’t lift a finger. Paribus is free on iTunes with a Google Play app in the works. If you are an investor you may want to turn your attention towards Personal Capital. Personal Capital can give you a snapshot of your investments, savings and even help you plan for retirement. Personal Capital is free on iTunes and Google Play. Not all personal finance apps come for free though. Some apps are a bit more involved and, therefore, cost a little more than others. In some cases, though, it may be worth it. BillMinder organizes your bills with reminders so you are always paying bills on time. 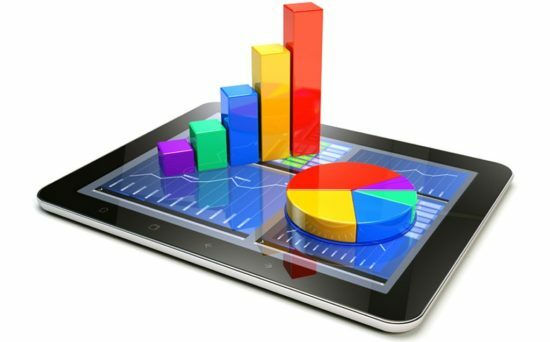 You can also track where your money goes with comprehensive charts and graphs. The app even offers syncing capabilities across households. BillMinder is $1.99 on iTunes and $2.99 on Google Play. Pennies is an everyday money tracker that provides you with daily budgets. It helps you keep track of your spending health, as well as offering syncing across all devices and compatibility with any major currency symbols. Pennies is only available on iTunes for $3.99. HomeBudget tracks expenses, income, bills due, and account balances. The app offers budgeting support and analyzes your expenses and income. All of its features are integrated, and the app has a Family Sync option, which allows a group of devices within the household to exchange information and work within a single budget. HomeBudget with Sync is $4.99 on iTunes and $5.99 on Google Play, and also offers a free version with limited features on Google Play. Money pro offers bill planning and account tracking, and can be used at home and even at businesses. Among its many features are account reconciliation, split transactions, detailed reports, and multiple profiles. Money Pro is $4.99 on iTunes and free on Google Play. Income OK is a basic app that allows you to input your income and expenses. It also has a partner app, Expenses OK, which just offers expense tracking. Income OK also offers a widget feature for easier access to information and input capabilities. Income OK is only available on iTunes for $0.99. With so many apps out there, it is difficult to know which ones are best for you. Try downloading some of the best personal finance apps out there, and you are sure to find the right fit for your financial needs. Is Blue Apron Worth It? Are you tired of paying an outrageously high cable bill each month? Do you have a cable package for hundreds of channels, but only watch about a dozen? Do you just not want to deal with the cable company anymore? Cable TV isn’t the only choice, and there are plenty of alternatives that you should consider to get out from those hefty monthly bills. Did you know that most of the major networks provide full episodes of TV shows on their website? Channels such as ABC, NBC, FOX, CBS, and TBS often provide streaming content a day or two after it’s already aired on TV. If you don’t mind waiting a day to watch a new episode of your favorite TV show, this might be an option to consider. Netflix has been incredibly popular over the past few years due to the convenience of renting DVDs or streaming movies and TV shows (and have a lot of movies that give financial lessons). While Netflix started out with a pretty eclectic collection of DVDs, they’ve recently bought the rights to a lot of popular movies and shows. Their monthly prices are also much cheaper than anything you’d pay for with a cable company. For around $8 a month, you can have unlimited streaming access to TV shows and movies. Hulu is also another great alternative to paying for cable, though by now you’ve probably already heard of Hulu. Hulu offers free and paid accounts, though there are plenty of great TV shows you can stream with a free account. While there are commercials involved and a select amount of shows, it’s still a great alternative for someone who doesn’t watch much TV and doesn’t see the point of paying for cable. Vudu is a service that lets you stream TV online, but also watch movies as soon as they’re on DVD. Like many other sites, you have to pay to access the content, though you pay for each movie or TV show versus having a paid subscription. Their rates run from @2 to buy new TV episodes to $4 to rent new movies. 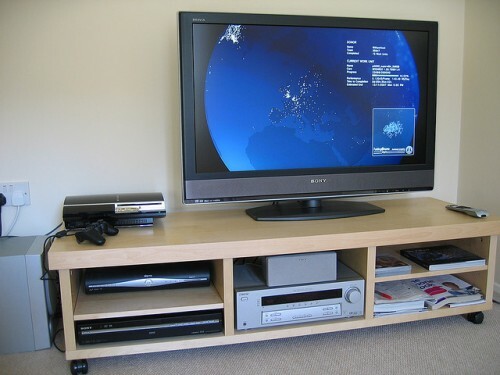 Do you own a PlayStation 3, Wii, or Xbox 360? If so, you can access streaming movie services such as Hulu or Netflix through your console. Some of these consoles, such as Xbox, are also planning to make deals with major TV networks to provide you with even more movie and TV streaming opportunities. Roku is a top-box for your TV that costs about $79.95 and allows you to stream movies and TV shows at your leisure. While the $79.95 price tag might seem heft, it’s only a onetime fee. It’s better than paying $79.95 a month for premium cable services, isn’t it? With your Roku, you will have to pay a subscription fee for premium content such as prime sports networks or Netflix movies, but otherwise, you’ll have plenty of options for movies, TV shows, and news programs. VGA cables connect your computer to your TV so that any content you stream online will show up on your TV. While VGA cables only cost from $6 to $12, they’re only advisable for people who have a good internet connection and a decent video card in your computer. If you don’t have a good video card, the picture might show up fuzzy or out of focus. But, if you’re someone who downloads or streams content online, but prefers to watch it on TV, a VGA cable might be the perfect alternative. Sometimes it seems as if everyone is shopping on Amazon. If you’re one of those people, you have probably noticed that Amazon offers instant video downloads or streams. Amazon offers $1.99 rentals or downloads, for instance, as well as some free movies and TV episodes. Their prices range depending on the movie (new releases are obviously more expensive). Additionally, Amazon Prime members have unlimited access to thousands of free movies and TV shows. iTunes is also another popular company that allows you to rent or buy premium movies or TV shows. Like Amazon, their prices range, but generally they charge $1 for TV rentals, $2 to buy TV episodes, $4 to rent new movies, and around $10 to $15 to buy new movies. Of course, if you really don’t want to pay for cable TV, you can always stream videos illegally online. There are plenty of websites that are dedicated to streaming new movies or TV episodes and the most popular ones usually show up at the top of a Google search. Many of these websites are hosted overseas since they can usually don’t have to answer to U.S. copyright laws. However, while these sites are great for people who might not want to pay for cable content, just be warned that sometimes they’ll disappear without warning.